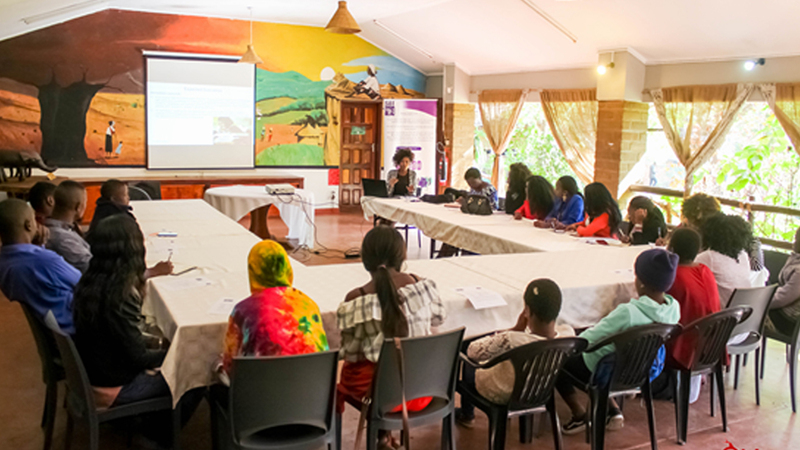 CRIDOC and SAT Youth Hub (YH) conducted and Adolescent Girls and Young Women (AGYW) Consultation Meeting on 27th July 2018 at Lilongwe Wild Life Centre. The meeting brought together 31 participants. Six were males and 27 were females. The meeting’s aim was to orient AGYW on laws and policies governing AGYW in line with Global Fund Project in Malawi; to form the AGYW task-force and develop an advocacy road-map for engagement with key stakeholders. The facilitator oriented the participants on the policies governing AGYW in Malawi such as: National HIV and AIDS Strategic Plan; National HIV and AIDS Prevention Strategy; National Gender Policy; National Education policy; National Girls Strategy; National Youth Policy; National SRHR Strategy and National Adolescent Strategy. He also noted that the following laws were on the shopping list: HIV and AIDS Prevention and Management Act; Child Care Protection and Justice Act; Family, Relations, Marriage and Divorce Act and the Republican Constitution of Malawi. These also included institutions responsible for AGYW programming specifically the just launched AGYW strategy which is an inter-ministerial committee composed of the Ministries of Gender, Education, Health, the police, among others. This inter-ministerial committee is chaired by the Ministry of Youth.